We are Alex and Jerry, two friends who have been working in the industry for over 25 years each, repairing vehicles and managing shops for others. 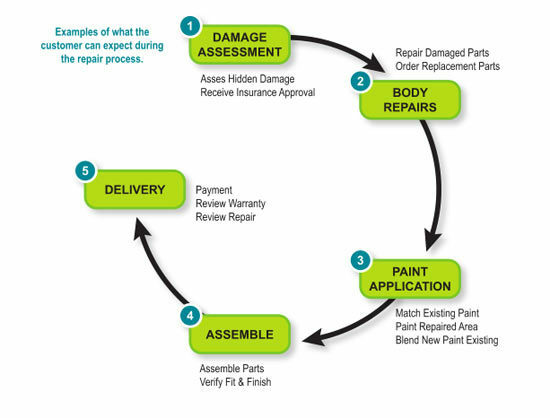 In 2011, we decided to open our own auto body repair and paint shop, and A&J was born. We are committed to providing you with the best possible service at all times. Our process is all about individual attention to every customer. When you visit the shop, one of us will greet you; when you call the shop, one of us will answer the phone; one of us will deal with your auto insurance; and, when its time for you to pick up your vehicle, one of us will contact you for delivery arrangements. While there are a number of employees who work at our shop, we believe each customer is entitled to our individual attention and that is what sets our service apart. Give us your trust and we'll give you our best. Read our reviews.